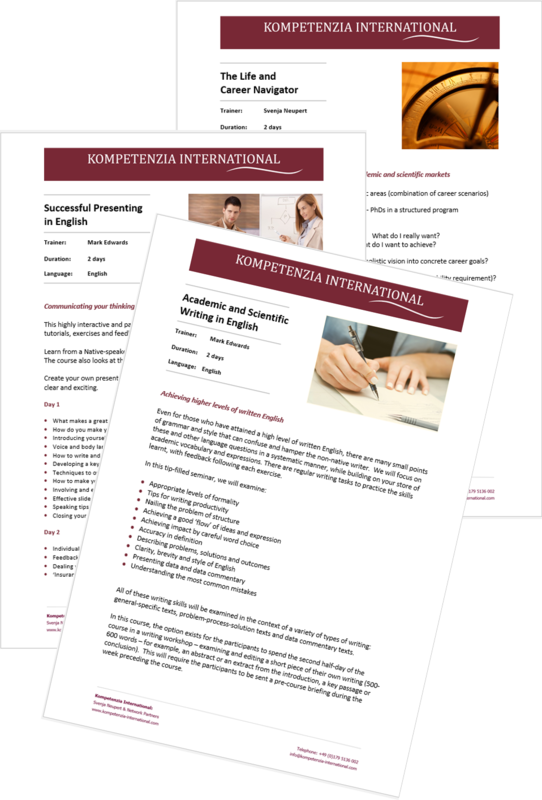 Soft skills seminars and coaching for Graduates, PhD students, Post-docs and Professors. 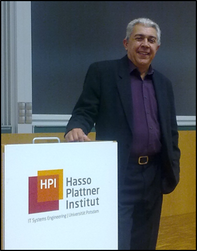 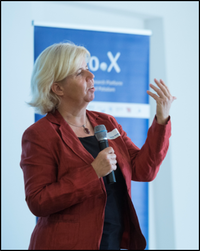 Click here to see a five-minute excerpt from our lecture at the Hasso Plattner Institute. 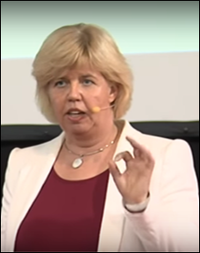 Click here to see ' Der innere Kompass zu Erfolg' - The Inner Compass to Success, delivered at the Didacta conference.